Contextual advertising is one of the surest methods of attracting more and ore prospective customers to your blog. Blogs are an effective method of making a lot of money online. You don’t need to be a prolific writer to win over a huge reader base. Rather, you need to be technically sound in presenting the content of your writing in a package that seems useful to the reader’s queries and also helps you earn a tidy sum. Based on your context, companies might be interested in inserting their ads on your website. Like if you are writing about Astroturf and its benefits over normal grass, a company producing astroturfs like Pure Grass might come forward to display their products on your blog post. But for this, you need to take the help of various ad networking sites and not limit your self to just one Google AdSense. Why don’t you take the help of Yahoo Publisher Network, Chitika and Clicksor as your other contextual options? Again randomly tagging around with things and allocating impressions to them won’t result in getting you a lot of customers for your blogs. Rather using software like RMX Direct for control, managing and directing various ad networks. Just contextual advertising will get you no where substantial. This is because advertisement which depends on the number of hits or clicks will eventually fail if the blog is not aesthetically appealing. Instead you can go for a more visual approach where customers pay through the nose for just viewing your website. This is called display advertising where companies pay you a share of their profits in lieu of allowing them to display their ads on your blog. Even in such cases, do not limit yourself to just one singular advertising network option. Using RMX direct here will also help you earn the most amount of money possible and allowing a variety of ad networks to operate in your inventory and using the material on your blog. Targeted advertising is the big name in the field of blog advertising nowadays. It is every blogger’s pipe dream to have companies pay him directly high rates for any image or text based ads they put on that blogger’s website. For this one needs to tweak up one’s blog post to accommodate the advertisers he is targeting in the first place. First you need to create a blog with relevant textual material to prove beneficial for the companies on the verge of marketing a brand. For this, you need to do a quick and detailed market analysis to find out which product will soon rise to prominence and capture the global business mindset. If everyone is eagerly waiting for the launch of the Fiat Punto, then compose a neat and tidy blog on the history of Fiat cars and how they have managed to deliver excellence, unflinchingly over the past decades. Instantly the Fiat people will be hot on your heels and see to that ample advertisement covers up your post. Or you can do something more general like writing on some new combustion engine which is common to a niche of cars and then attract those car manufacturers who are implementing this design in their vehicles. After deciding the content of your blog, create a media kit which is basically a page saying that you take targeted advertising, the number of people who visit your blog everyday, the kinds of advertisements you accept, your traffic levels, the demographics of your users, testimonials of the company who have been benefited by your blog, examples of previous advertisements that your blog post flaunted, your phone number and your email address to help them keep in touch with you. You may even go into direct talks regarding the pay that you expect. While doing this you might afford them the opportunity to customize with the html coding and java scripting of your blog post to fit their ads in the best possible manner. Publicize the need for advertising on your blog. Allow the new and the lesser known company’s space in your blog. Sometimes lowering the initial cost helps you discover companies whose products might go on to become global crazes in no time. Taking risks are a part of any business venture. So if you accommodate some lesser known company into your niche and thereby extend your customer base, it would only mean a higher bank balance for you. Sometimes you need to let your creative flow churn up innovative pieces of advertising to help the companies decide from a larger palette of ads to publicize their products. Once you have set up your blog properly, you can even start approaching the companies on your own. Searching for these companies should be fuelled by the singular purpose of ascertaining which company will benefit your blog and help it to become a successful financial enterprise. Some people get this done very slyly by means of text link advertising, even advertising the concept of text link advertising helps you to rake in a lot of money in to your kitty. You can even try alternative offline strategies to monetizing your blog. This includes selling ebooks, dvds and audio cds of the material stored up in your blog. For this you need to take the help of a multimedia professional who is aware of packaging content into various consumable forms. These people are aware of the multimedia format which helps to attract the hordes of customers and of what nature they would like the content presented to them. They employ various techniques like Immersion to sell your content. Talking about selling content, why don’t you auction your blog on a site like Ebay? Man people net online domains for speaking their minds of propagating their business capital. Your blog space might just help them do that. If you already knew about these strategies of monetizing your blog why don’t you try your hands at providing consultation services for a fixed pay per hour? 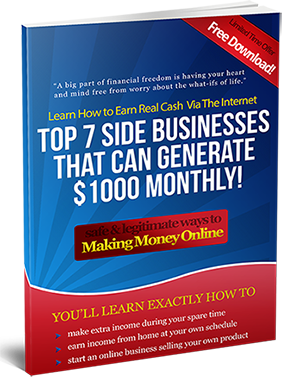 It pays if you do some work and monetize your site, since good traffic will benefit you a lot. You should focus on coming up with a blog which has a strong user base and you will be able to earn a lot of money by using the above-mentioned methods. So good luck, and don’t forget to share your experience of monetizing your blog in the comments section.